Simplicity: It’s not a new idea, but it’s certainly a trend in a culture saturated by excess. We have more food than we need, many people eat more than their bodies need, and in a culture where everyone seems to want more of everything, the concept of less feels like a relief. People are beginning to explore the concept that less is more on many different levels. Take for instance Marie Kondo’s KonMari method for “tidying up,” and her new show that helps people get rid of all the clutter in their living spaces. Or consider the growing fascination with tiny homes, or limiting clothes to a certain number of items. There is no doubt we are looking to simplify our lives. This simplification can easily be applied to how we eat – and in our culture of over-consumption, that’s a good thing. There are many different ways to “declutter” our diets, but some of my favorites are time-restricted feeding (TRF) and intermittent fasting (IF) protocols, which involve choosing a limited time during the day to eat, and fasting the rest of the time. It’s a sort of KonMari method for the body. While TRF and IF are having their pop culture moment right now, fasting is ancient, used throughout human history for health and spiritual purposes. From an ancestral health perspective, it’s unnatural to always eat three meals a day (and snack in between). This isn’t what humans could have done throughout almost all of human history. They simply wouldn’t have had constant access to the same amounts of food, and would have regularly had to endure periods of feasting and periods of fasting (or famine). The human body has adapted to that kind of survival eating. Fasting is part of our DNA. It’s no wonder that our constant noshing and over-stuffing has led to some serious health problems our ancestors never would have experienced. As a functional medicine practitioner, I have implemented intermittent fasting and time-restricted feeding methods for years, both with my patients and with myself. I have experimented with different approaches for restricting food intake to discover the benefits of each. One of the simplest is the 8-6 plan (have your meals between 8 a.m. and 6 p.m.). Then there are more complex fasting-mimicking protocols like the modified two-day plan. This involves eating normal clean meals for five days of the week (which days are up to you), and on the remaining two days, restricting your intake to no more than 700 calories. For more types of intermittent fasting, check out my article on the subject. Here, I want to tell you about one special way to do time-restricted feeding (or intermittent fasting). It may be the easiest way of all. It is something called OMAD. OMAD sounds super exotic, but it simply stands for “One Meal A Day” (we love acronyms in wellness). An OMAD plan is what we call a 23:1 fasting-to-eating window, which means fasting for 23 hours and eating all your food (and getting all your calories) in just one hour. Normally this involves waiting until dinner to break your OMAD fast, but some people prefer to eat breakfast or lunch only. Ultimately, it could be any meal at any time, as long as it happens within just one hour of your 24-hour day. (Technically, it could also be a 22:2 plan, if you eat your meal in a leisurely manner, or just very slowly). People typically do OMAD to improve health, lose weight, or both. But does it work? Is OMAD something worth trying, or is it better to avoid it at all costs? Let’s look at some things to consider. Increased human growth hormone (HGH) levels. When you fast, your levels of this muscle-building, fat-burning hormone go up. Lowered inflammation levels. Fasting is known for its ability to reduce inflammation. When you aren’t eating, your body can divert its energy towards repair. Decreased disease risks. Fasting is also associated with a decrease in health issues related to inflammation, as well as better blood sugar control, metabolic health, and even reduced cancer risk. Increased autophagy pathways (cellular recycling and repair). When you don’t eat, your body repairs and detoxifies, cleaning up dead cells and debris. These reasons may be enough to convince you to try OMAD, but there’s more! Another key benefit of fasting techniques like OMAD is that they encourage a shift into nutritional ketosis (burning fat for energy instead of glucose). Nutritional ketosis has its own anti-inflammatory, fat-burning, and autophagy benefits. Because OMAD is a longer fast, it tends to maximize these benefits. Longer fasting windows give the body longer periods of time to enhance all the benefits of fasting – shorter fasts still have benefits, but they won’t be as profound. Another great thing about OMAD, when it comes to simplicity, is how little planning is involved – because there is only one meal to plan for! The only real question, beyond what to eat for that single meal, is when to break your fast, to make sure the meal you eat will have enough calories and nutrients for the day. If you are seeking a life less focused on consumption, you may just become an OMAD superfan! OMAD cons (and how to avoid them). 1. Insufficient calories and nutrients. Even though you are going 23 hours without eating, you still need enough calories and nutrients in your one meal to sustain you, especially if you are doing OMAD long-term. The solution? Figure out how many calories and nutrients you need for your age, weight, and activity level, then make sure your one big meal of the day is full of nutrient-dense real food. Fasting protocols like OMAD are best paired with good foods, like lots of vegetables, fruit, high quality protein, and plenty of healthy fats. Your one meal shouldn’t be made up of junk and empty calories, or you could suffer health consequences. You can’t fast your way out of a poor diet. 2. It may not be for people who have an unhealthy relationship with food. For people who struggle with an unhealthy relationship with food (such as people who struggle with, or have struggled with, eating disorders like anorexia, orthorexia, or bulimia), OMAD can exacerbate these conditions. The notion of not eating could trigger pre-existing negative thoughts and habits in some people, and in some cases, following strict dietary rules or fasting can be symptoms of an eating disorder disguised as a wellness practice. This is the antithesis of the intent of intermittent fasting. Fasting techniques like OMAD are not for punishing yourself. They should be used as a way to love your body enough to take care of it. OMAD is not about restriction. It’s about timing, and rejuvenation, and health. You can’t heal a body you hate. If OMAD (or any other way of fasting, time-restricted feeding, or dieting) is turning into an unhealthy obsession, feels out of balance, or causes a fear of food or fear of “breaking the rules,” stop. It is not right for you. 3. It can be trickier for women. When it comes to intermittent fasting, women are usually more sensitive than men. This is, at least in part, due to the fact that women have more kisspeptin, a neuropeptide which can create a stronger reaction to fasting. If it is overdone for any particular individual, it can impact hormonal balance, cycles, and possibly metabolism and fertility. This is a new area that needs more research, but the key here is to find a fasting schedule that works for your body. The amount of time you can fast may be different than the amount of time someone else can fast – everyone has their own tolerance. Check in with your body and assess how you feel when you try any type of fasting. For a full guide on how intermittent fasting can affect hormones, read my article on the subject. I like to switch up my fasting methods. I love doing OMAD some days, especially when I am traveling. OMAD is an easy way to mitigate the health hazards of flying (like airport food, jet lag, and air pressure changes, which can be hard on digestion). It’s also easier not to think about eating when you are on the move. I stay hydrated with lots of water, and I love to sip on Earl Grey tea during my OMAD fast because it enhances autophagy. I feel great on those days and enjoy it. Crazy, right? But I don’t do it every day, and I have had many patients over the years who do well peppering their life with occasional OMAD days. On other days, I choose different intermittent fasting windows, and sometimes I eat three regular meals and don’t fast at all. There is a grace and lightness to my fasting, and I believe this should be the case for anyone who wants to do fasting in a healthy and sustainable way. The bottom line is that OMAD (and any other type of fasting) shouldn’t be stressful or miserable. The right way to fast is to do the type of fast that works for you and your body – that makes you feel better, not worse. Don’t force something if it’s not making you feel good or right. But OMAD isn’t necessarily for beginners. If you are new to fasting, I suggest starting with shorter feeding windows, such as eating within an eight hour period at first, then slowly reducing it to six hours, five, four…until you feel like you can easily eat one meal a day every now and then. And if your diet isn’t a healthy one right now, I suggest backing up even further and focusing on eating real foods and getting the junk (like processed sugar and refined carbs) out of your diet first. Learn how to eat and feel satiated by good real food for a while before you explore fasting protocols. This will build a strong foundation on which to build your fasting. Focus on healthy fats, clean protein, and vegetables, with as few added sweeteners as possible. This will be a great natural transition to fasting (here are some meal ideas). This will also help to stabilize your blood sugar and help you to become more fat-adapted. Eventually, this can make fasting happen naturally, as nutrient-dense, low-sugar, fat-burning diets tend to decrease appetite due to how filling and satisfying they are. When you are well-fed, nourished, and no longer hangry, OMAD (and other fasting windows) will happen effortlessly. If you want to learn more about your own health case please check out our free health evaluation. We offer in person as well as phone and webcam consultations for people across the country and around the world. 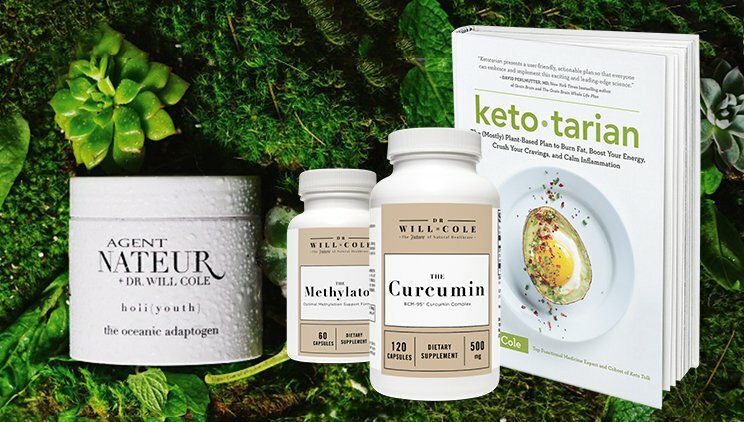 Purchase personally curated supplements and Buy Dr. Will Cole’s new book! Deepen your wellness knowledge wherever you are in the world. Get FREE access to this exclusive guide + subscriber-only giveaways and recipes. + My mini eBook with 14 Life Altering Health Tips! Most Common Symptoms – Are You Suffering? Dr. Will Cole, IFMCP, D.C.